Visitors and regular readers will note the months of radio silence here. In an ongoing effort to stay lean and effective (thank you, Timothy Ferriss), we’re consolidating our blogging and social media activity. From now on our blogging will take place on the Angel Academe Medium page, and likewise our business-related tweets will be going out from @angelacademe. Simon will of course be continuing to blog about music, tech and the wider culture on DGMFS Media. In the meantime, we’ll keep this blog up as an archive, in case anyone wants to know about the kinds of things we’ve been thinking about over the last few years. I said it of 2015, I realise, but 2016 has been truly a breakthrough year for me and Sarah here at TH – and an incredibly busy one. We screened over 500 businesses and had 16 of them pitch to our group. Our investments this year include: Raremark, Fabric, Pivigo , Headliner and a follow-on investment in Clear Returns. We ran the third year of Entrepreneur Academe, the mentoring programme we run on behalf of the City of London, seeing ten diverse businesses through critical points in their development. Your can read all about the graduation event here. We launched a new website, with the help of our good friend Lauren Hine. We launched Angel Academe North with two lively events in Manchester. We’ve run two of our ongoing Angel training workshops, Investor Academe. 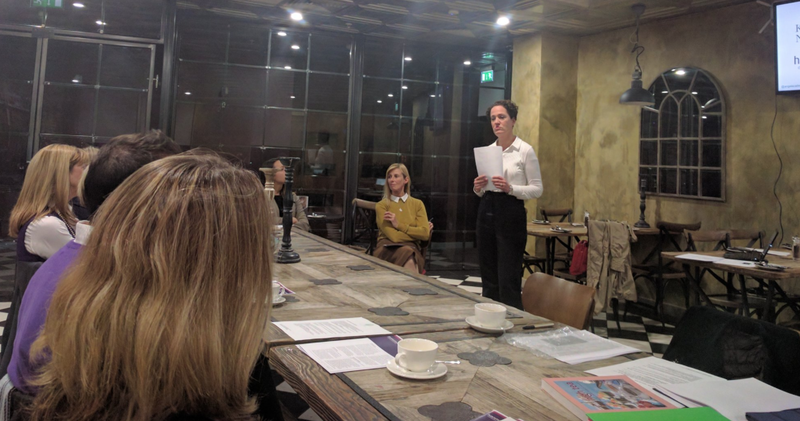 We were delighted to be involved with a new Innovate UK initiative: the Women in Innovation Awards, with several of our group acting as judges and assessors. Many thanks to our sponsors for their continued support of our AA work: Thomson Reuters, haysmacintyre, Kingsley Napley and the City of London, and of course to MJ and Lauren for all their help. Our big consultancy gig of the year has been working with the fabulous Wales Millennium Centre on their digital strategy. We’ve spent an awful lot of time in Cardiff since January, really getting under the skin of the organisation, and figuring out what it really needs to achieve through digital means. It’s a crucial point for the organisation as it begins to commission its own work alongside the work it does as a presentation house. At the time of writing we’re helping to write a creative brief for the Centre’s new website. Following her success in last year’s UKBAA Awards and Tech City Awards, Sarah made the Maserati 100 list, which celebrates those helping to build the UK’s entrepreneurial ecosystem. There’s also been a lot of public speaking for us both, with engagements for (among others): Mass Challenge/Wayra, Cass Business School, the Digital Catapult, UKBAA, Goldman Sachs, the Association for Cultural Enterprises, Brighton Aldridge Community Academy… the variety alone should give you a good impression of how diverse our work has been over the year. Oh, and of course we’ve kept up our long-standing associations with UKTI and Innovate UK. That’s it for now: just a snapshot, as I say. As ever, you can keep up with us on twitter: @turnipshire, @simonphopkins and @angelacademe. Our very best wishes for 2017. 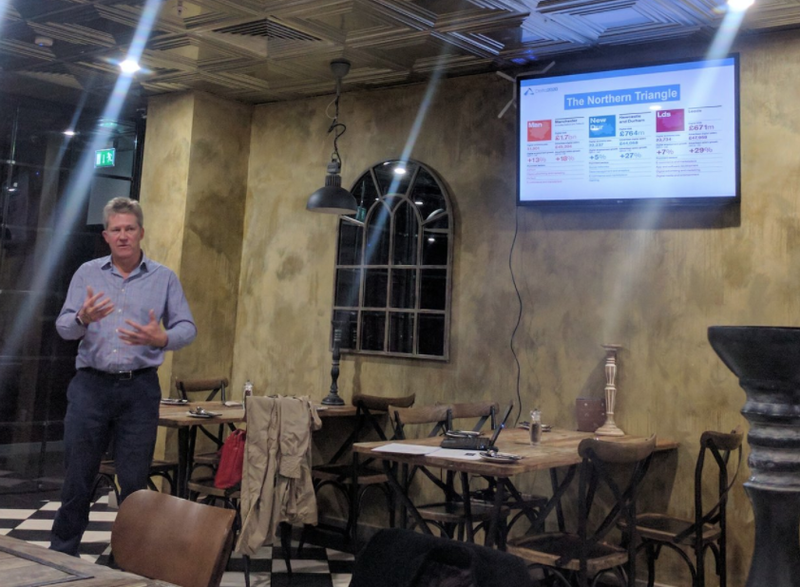 On July 21st we held the second of the expert sessions on this year’s Entrepreneur Academe, this time looking at everything related to SELL: sales, PR, growth hacking and social media. As ever, the afternoon began with a panel Q&A, this month featuring Anjali Ramachandran, Meganne Houghton-Berry, Candace Kuss, Lauren Hine and Garry Felgate. Try different landing pages and compare responses. Elsewhere on you website, iterate/analyse constantly. Follow your competitors on twitter – what are they up to? Try dropping all formatting on your email newsletter – this my convince users that they’re getting a personal email – although expect a lot of email back! Here’s a nice piece from The Times last weekend about AA investee and Entrepreneur Academe graduates Frugl – the site for discovering events and offers under £10. We had a fun night on Tuesday at the annual UK Business Angels Association Awards at the Dorchester in London, where we were joined by friends, supporters and investors from our network. We’re especially delighted that Angel Academe board member, investor and mentor (and all round great guy) Simon Thorpe deservedly won Lead Angel of the Year. In his rousing acceptance speech, Simon re-stated his commitment to increasing the number of women angel investors and supporting women-led businesses. He went so far as to pledge that his successor as Lead Angel next year should be a woman. Quite! In other news, Entrepreneur Academe graduate Julie Walters from portfolio company Raremark won Best Investment in a High Growth Woman Founder in recognition of their pioneering work to transform one million lives in rare disease.